Halloween Special Legendary Collector Event is back with the new v1.5.5 update, joined by lovely new Pets! 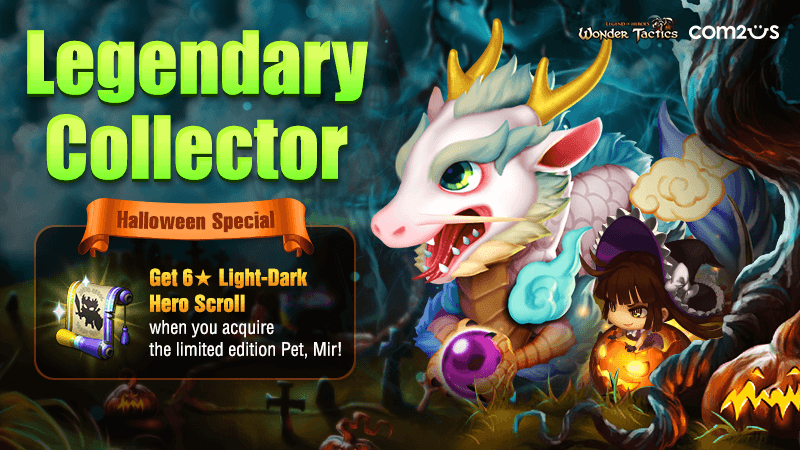 You can acquire the Legendary Hero Scroll and Light-Dark Hero Scroll when you collect the [Halloween Limited Edition Pet] and [Relation Heroes of the new Pets]! - Each reward is available only once. 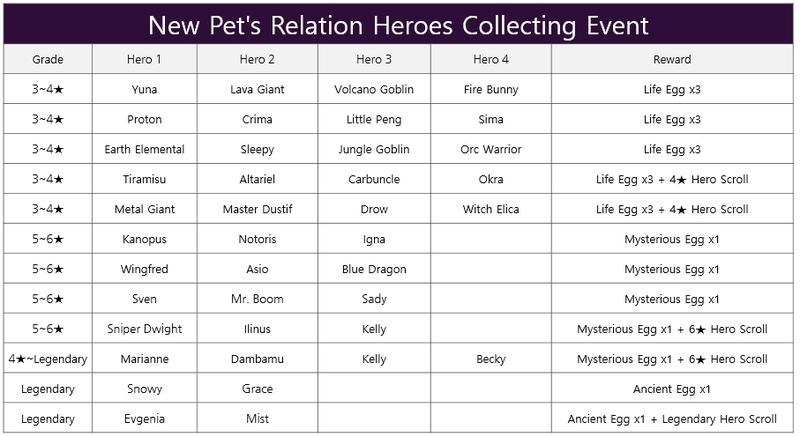 - Only the Heroes/Pets that you acquired during the event will count. - The event will be held in server time.